Yogesh Karan is the new Class A shareholders Director for Fijian Holdings Limited. This was confirmed by a press release released by the South Pacific Stock Exchange last night. Fijian Holding Limited Class A members clasting their vote for new FHL Class A Director during their Special General meeting . Photo: Ronald Kumar. Yogesh Karan is the new Class A shareholders Director for Fijian Holdings Limited. This was confirmed by a press release released by the South Pacific Stock Exchange last night. But at a Special General Meeting held earlier yesterday, businessman Ulaiasi Taoi was appointed the new Class A Director where the other nominee was Yogesh Karan. Before the voting took place early yesterday, SPSE chief executive officer, Latileta Qoro explained the voting process. This was followed by questions from the floor. He also raised his concern on the Fijian Holdings as an independent company and that Government should no longer be associated with it. Ms Qoro replied that, the entire registry that they have been registering people on, is a solely A class shareholders. “You do see some B class in the room, but they’ve also in previous years acquired A class shares and their representation in the room is, as an A class shareholder,” she said. 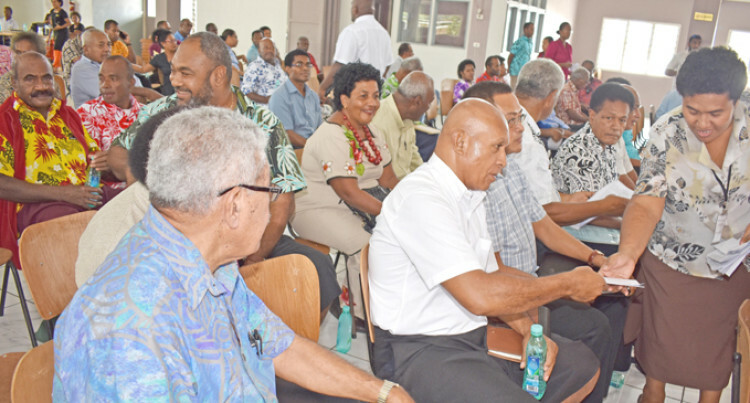 Fijian Holdings Chairman, Iowane Naiveli said the two nominees were qualified for the Director position as per the Articles of the Association. Another question was raised by shareholder and former Roko Tui Rewa, Savenaca Kamikamica. “Why are the Roko Tui in the meeting and not the Chairman from the Yasana. He also emphasised the Fijian Holdings was an independent company and they have to look into the matter seriously and changes needs to be done. Mr Naiveli responded that their prime responsibility is to run the company and see that it grows and that the profit increases. The changes in the role of constitution, will come back to the shareholders not the directors at the Annual General Meeting.